I have a great pattern and big discount for you today! 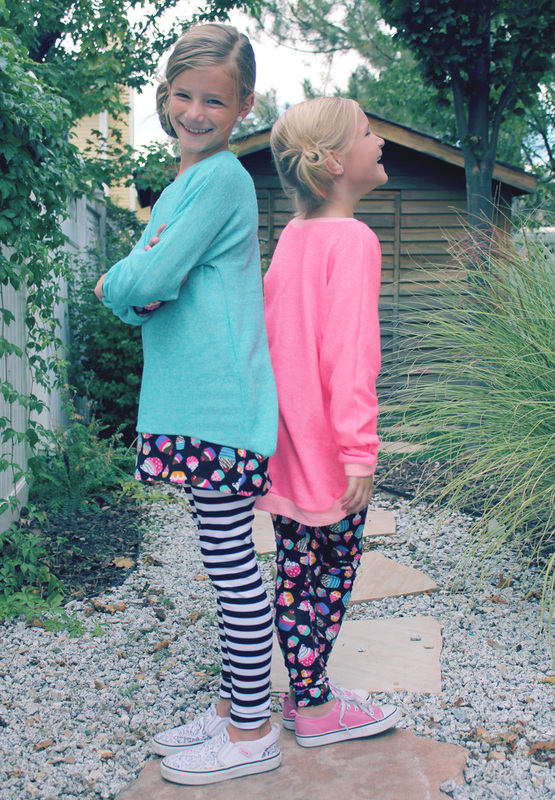 Shwin Designs Apple Loungewear is on sale today only!!! Info and coupon code at the end of this post. 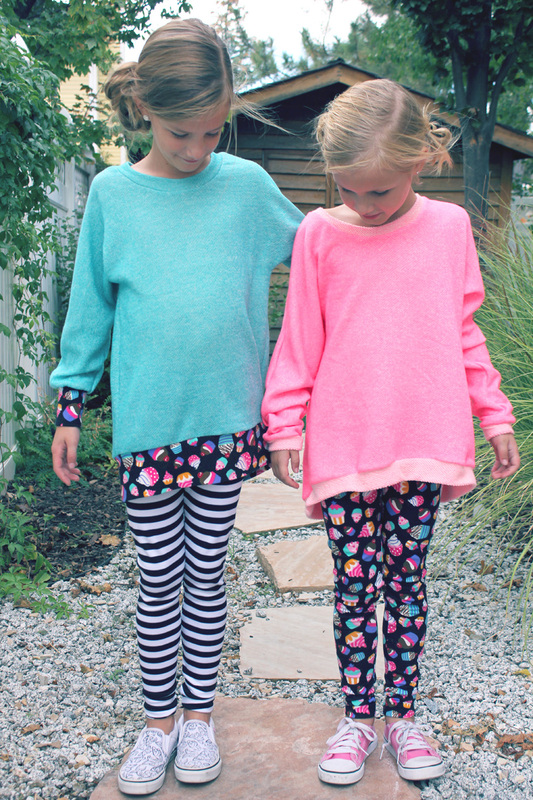 After that baptism dress and all that selfish sewing I was so ready to sew some quick, cute comfy clothes for my girls. We did a big closet clean out last week and they are both in need of some new cold weather cozies. 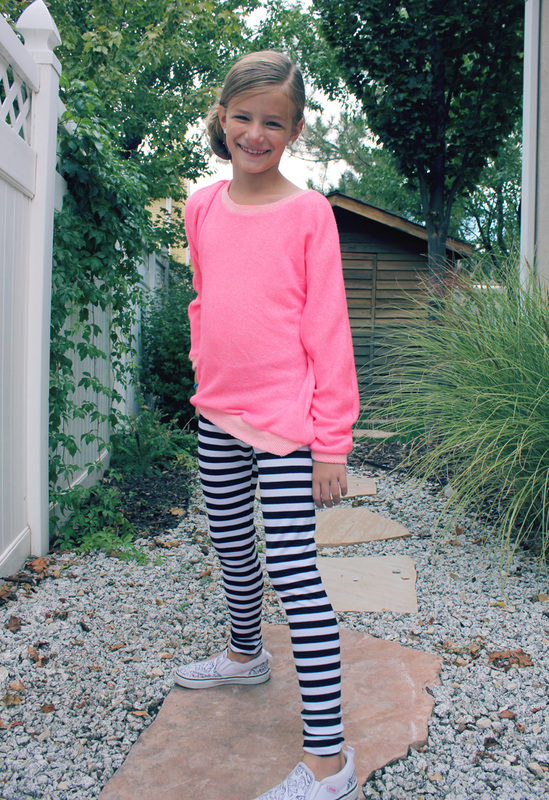 I used Shwin’s Apple Loungewear set to make mix and match sweatshirts and leggings. I love that they can share these sets! I made a size 8, which is where they measured for this pattern. I usually make a 6 with 8 length in Shwin patterns and I probably would have been fine to do that with this pattern. 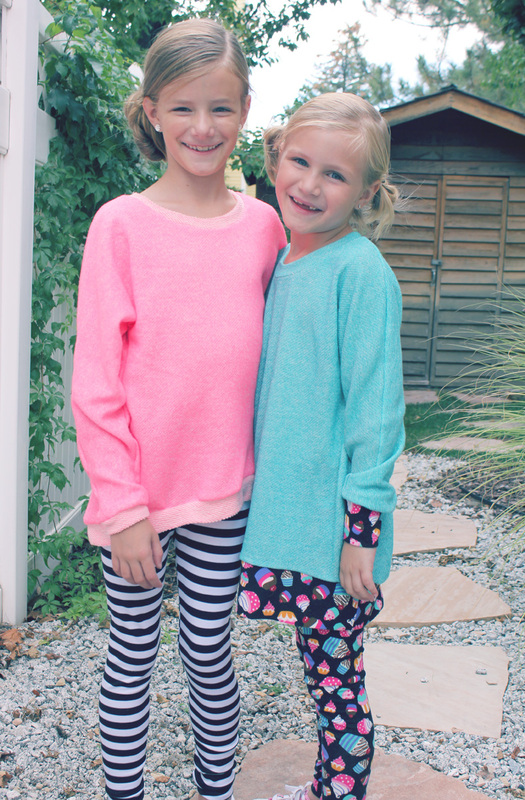 The tops are made with Raspberry Creek Fabrics French Terry (broken record but I seriously can’t get enough of it). My girls have all the same measurements but Sophie is 5 inches taller. They can share most everything but I make them longer to fit Sophie’s height. Kinda big and baggy on Payton but I think it works for this style. 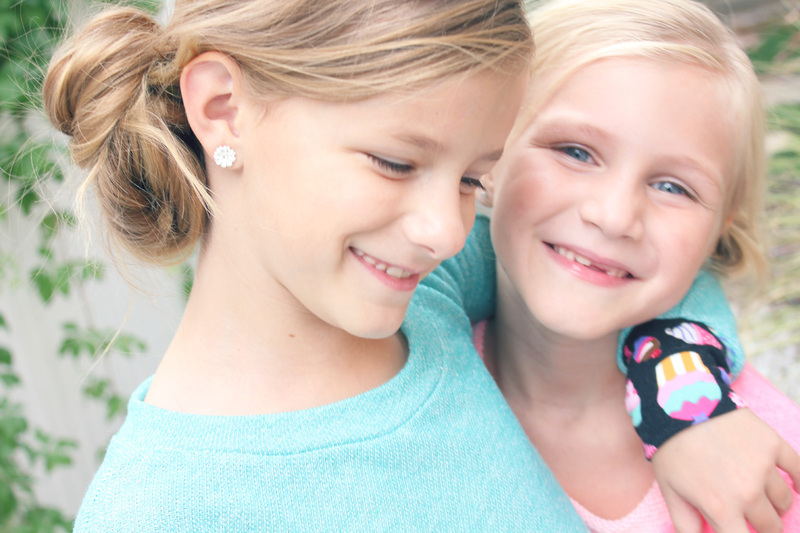 I love my Daytrippers and I’m excited to share that love with my girls. The pattern includes pockets but I left them off just to make them even quicker sews. I also almost doubled the bottom band and wrist cuffs on the teal version to really feature the cupcake fabric. 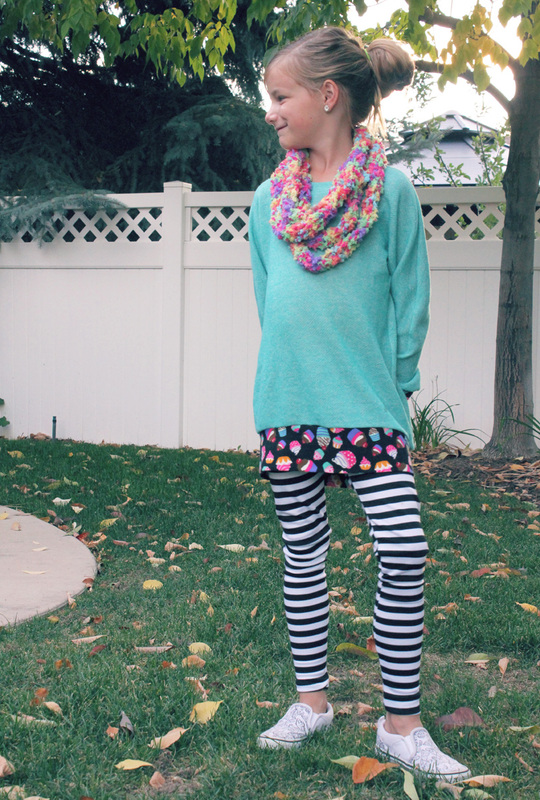 Sophie had just finished finger knitting this scarf and was so excited to throw it on with her outfit. I think it’s the perfect accessory! 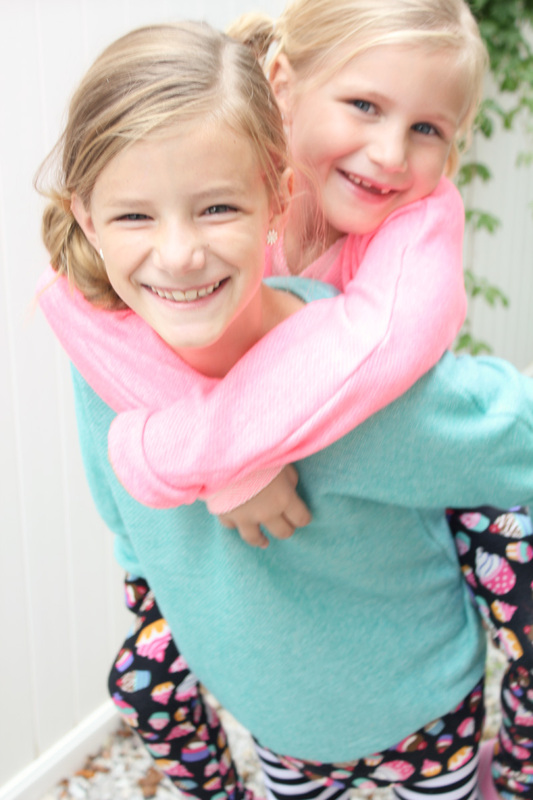 Boy, do I love these cute sisters and their new comfy loungewear! 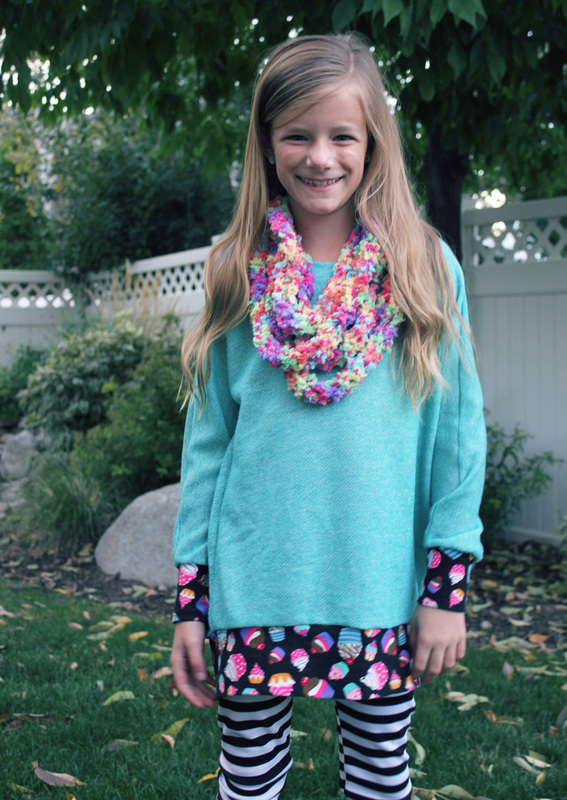 Use code ‘APPLE’ to get the pattern for $5, today (10-8-15) only! Code no longer valid. Hop on over here and make sure you look around!